Do fall and winter’s dark days mess with your sleep cycle? 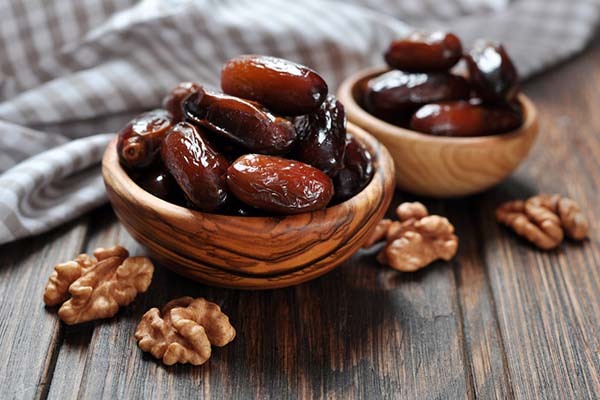 Try these soothing foods that help you sleep. Dark afternoons and evenings leave us less time to wear ourselves out outdoors. While some people sleep better when it gets dark early, many of us end up with leftover energy that has no outlet. If early sunsets are keeping you from winding down properly, certain foods can help tell your body that it’s time to head toward slumber. 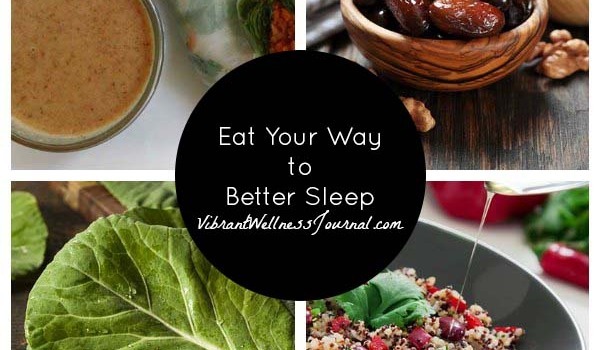 These foods that help you sleep work with your body to help you get some shut-eye. 1. Nuts and seeds. Eat a few handfuls of almonds, sesame seeds, peanuts or hazelnuts. Nuts contain tryptophan, an amino acid needed to produce melatonin, a hormone that regulates sleep. 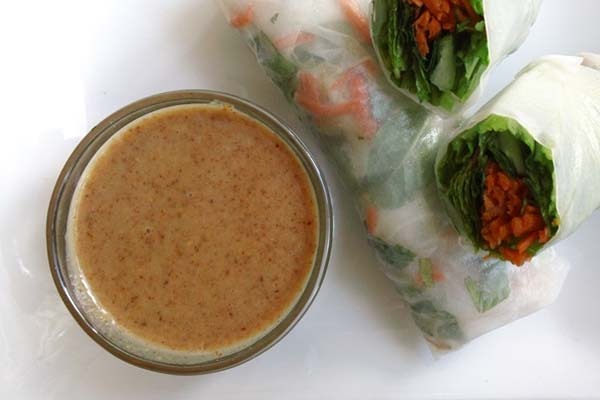 Add a yummy nut butter sauce to your supper to help your body start relaxing for bed time. 2. Bananas. 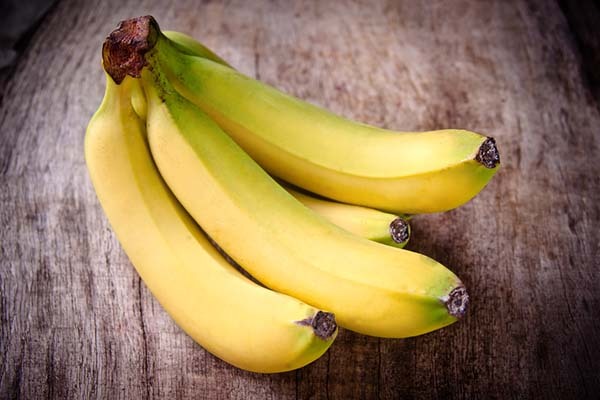 Bananas also contain tryptophan. You can eat them whole or puree them into a green smoothie. 3. Dates. These sweet treats are another plant-based source of tryptophan. 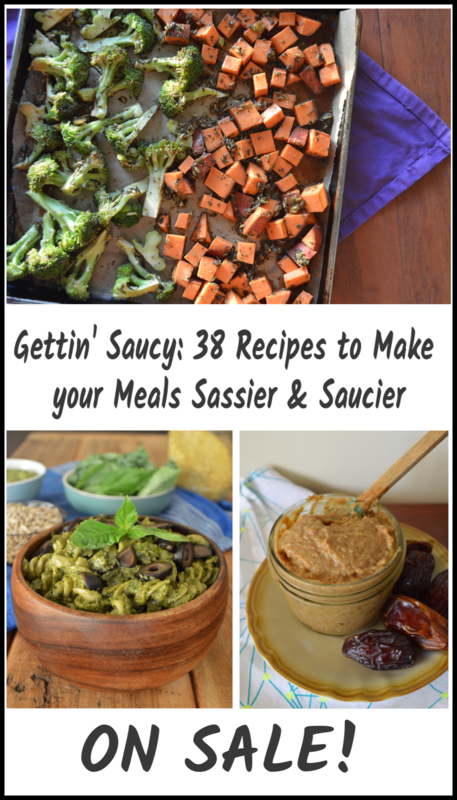 Eat a few as-is, toss them into your green smoothie, or bake them into healthy banana date cakes (a tryptophan double-whammy!). 4. Chamomile tea. 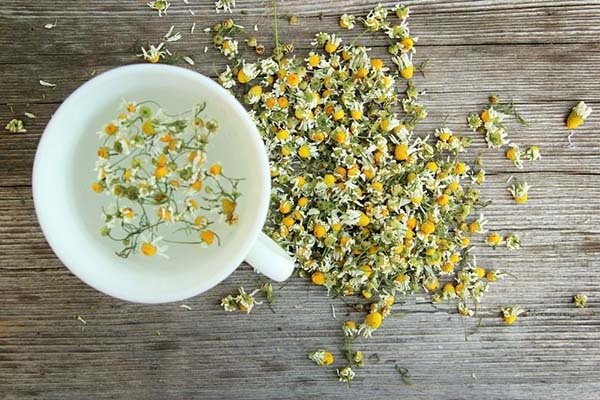 Pretty much any warm, decaffeinated tea helps calm you down, but chamomile in particular is very relaxing. It contains powerful antispasmodic and anti-inflammatory compounds that help you relax so you can get to sleep. 5. Whole grains. A bowl of oatmeal or side of quinoa will stimulate insulin production in your body. Insulin helps rid your bloodstream of other amino acids which might compete with the tryptophan. Whole grains also contain a good amount of magnesium. If you suffer from chronic insomnia, a magnesium deficiency may be part of the problem. 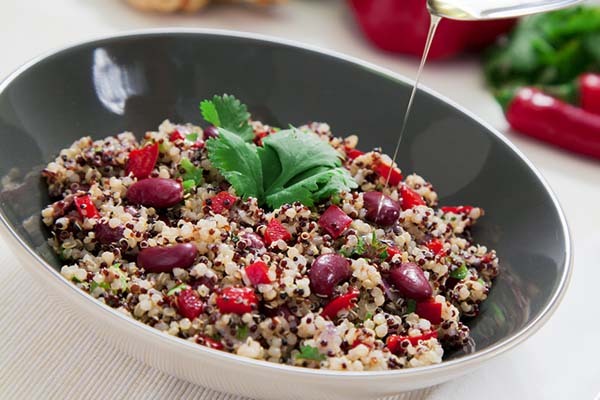 Try one of these killer quinoa salads for supper! 6. 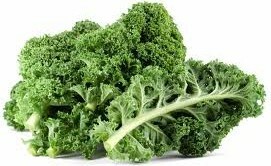 Kale and Collards – These dark, leafy superstars are excellent plant-based sources of magnesium. 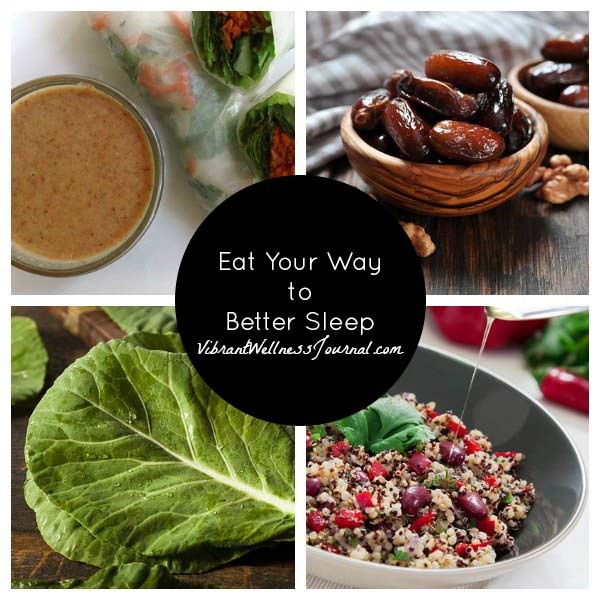 A side-effect of magnesium deficiency is insomnia, so adding a few magnesium-rich foods to your menu might just help you snooze! 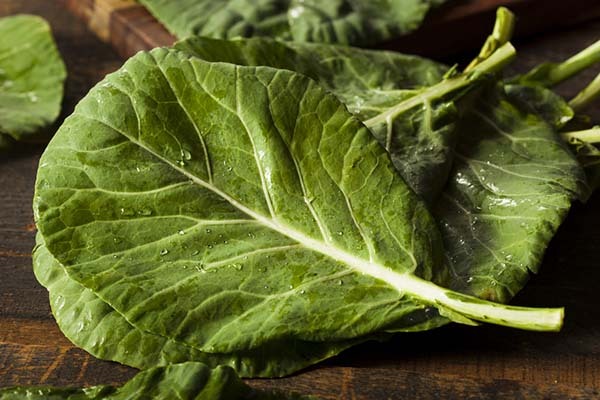 Collard greens don’t tend to get as much cred as kale, but they’re actually more nutritionally rich. Check out this infographic about collards and get some yummy collard greens recipes here. Leah Gehlsen Morlan lives and works in Iowa City, Iowa. She has a film degree from the University of Iowa, and her interests include: watching & writing about film, chasing her kids around, childbirth, healthy cooking & living, and DIY body & baby products.